⚡ Develop a deeper understanding of the internal mechanics that determine how your body responds to your diet. Sometimes Tim Ferriss’ podcasts end up going into a ton of detail on a topic that I wasn’t actually that interested in hearing about… an hour later I’m totally hooked and wanting to know more about some totally random topic. 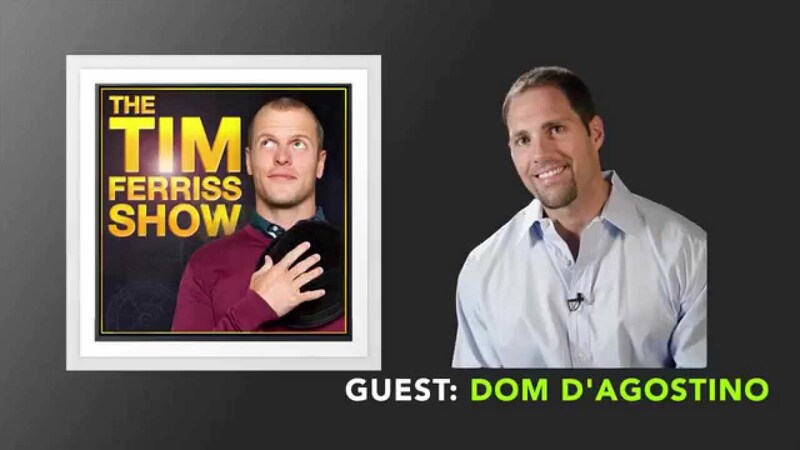 That’s what happened with this podcast — Dom D’Agostino, a professor and researcher focused on diet — goes into a ton of detail on the ketogenic diet. The ketogenic diet basically works by eating very limited amounts of carbs, meaning your body (eventually) kicks into ketosis — a state where your body burns a lot more fat for fuel. I’ve not tried the ketogenic diet (and don’t intend to) but I found hearing an expert talk about it totally fascinating. In contrast to a lot of the fad diets that you hear about, this has a ton of research behind it. Dom regularly tests it on himself and has had some pretty impressive results… amongst other things he’s managed to deadlift 500 pounds (around 225kg) for 10 reps after a seven-day fast. Seriously.